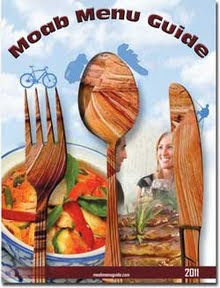 Food Adventures of a Comfort Cook: Remembering Childhood Comforts. There is a thunderstorm brewing and I am suddenly taken back to a childhood memory. During such storms, I would put 4 chairs in a square formation, throw a large blanket over them and pretend to be camping outdoors. I would have my favorite stuffed animals as company, a flashlight to light the interior, books to read and a large bowl of one of my grandmother's home cooked meals. It could be spaghetti and meatballs, shrimps in sauce, or one of her many delicious soups. Whatever it was, it was wonderful and I would always sneak out of my tent (between thunderclaps) to get a second bowl. Happy childhood memories are few for me and they almost all seem to revolve around food in some way. No wonder really, as food is comforting in itself. It fools you into believing that all is right with the world, well for that moment at least; and later on, if need be, the memory of it can soothe an unpleasant moment in time. My grandmother's cooking was able to provide me with, not just comforting moments, but comforting memories to help me later on. 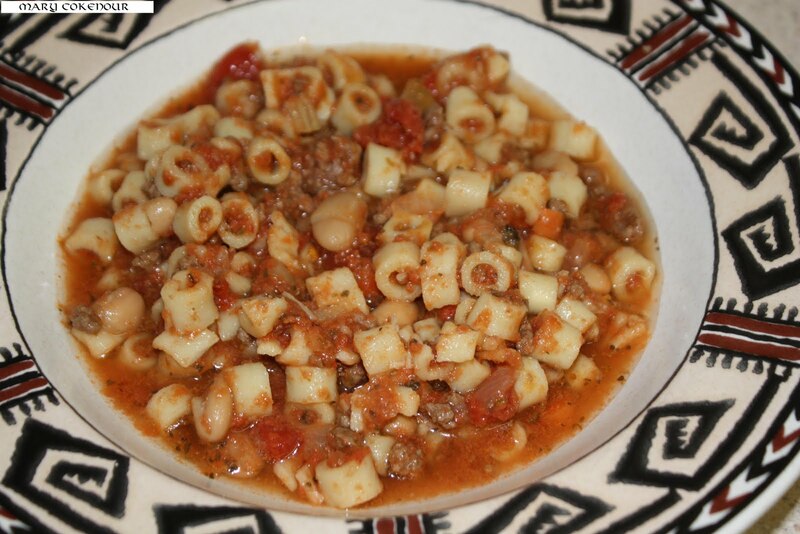 One such dish was her Paste E Fagioli; a wonderful dish of beans, meat and pasta in a flavorful broth. The steam rising up from the bowl, so fantasy figures could be picked out, much like one would do when watching the clouds in the sky. The storm is passing as I write this, so I better get back to my Pasta E Fagioli before the wonderous memory passes also. A traditional Italian soup, its name meaning “pasta and beans”. While it is usually made without meat, ground beef or sausage can be used in the recipe. My grandmother made this soup in a large soup pot on the stove, but I have converted it for cooking in a crock pot. In large skillet, brown meat till no pink shows; drain grease. Spray 6qt crock pot with non-stick spray. Mix together meat and all ingredients except the pasta. Set on low heat and cook for 7 hours; add in pasta and cook another 15 minutes before serving. If desired, grated parmesan cheese can be sprinkled on top of each serving.